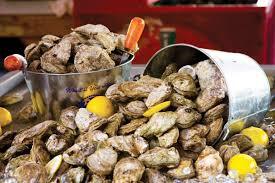 The Greater Franklin County Chamber Of Commerce will be hosting its first Oyster roast. It will be held on Saturday, October 20th from 5 to 7 pm. More details coming soon. A big thank you to our Platinum Sponsor Maria Parham Franklin for sponsoring the Greater Franklin County Chamber of Commerce’s first Annual Oyster Roast.